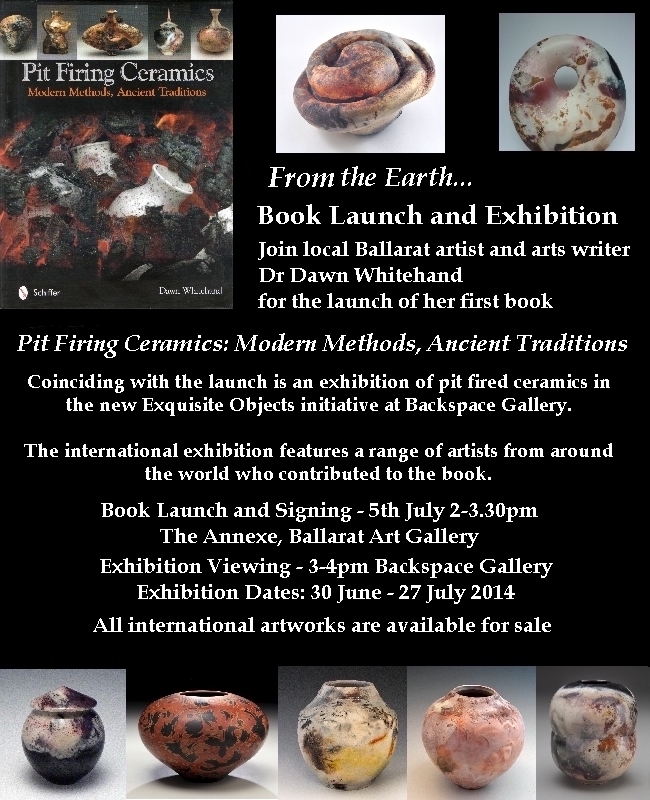 Join me this weekend in Ballarat for the Launch of my new Book and Exhibition. 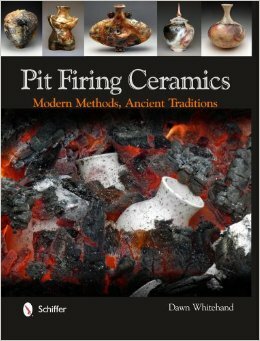 As many readers will know recently I published a book called Pit Firing Ceramics: Modern Methods, Ancient Traditions. The book was in February catalogues for Australian book shops, libraries, etc, and is now beginning to hit book shelves. it is also available online – it came out in the USA in November last year. The book is being launched this weekend at the Annexe, Ballarat Art Gallery 5th July 2-4pm, so if you are in or near the Ballarat drop by and share a glass of wine and cheese with me. Copies of the book will be available for sale and signing, or if you already have a copy bring it along to be signed. The launch is also accompanied by an international exhibition featuring some of the artists that contributed to the book. The exhibition is in the new Exquisite Objects space in the foyer of Backspace Gallery and runs throughout July. Below is a flyer with all the launch information or join the event on Facebook!! As regular readers will know last weekend was the opening of the Lorne Sculpture Biennale, and I will be publishing a separate post about this soon. But for now, I would like to share the ceramic pit firing I did on the beach as part of the Sculpturescape category in the show. I arrived in Lorne on Friday afternoon so that I could borrow a friends ute to drive into nearby Colac and pick up the wood for the project which was kindly donated by Shelton Timber. 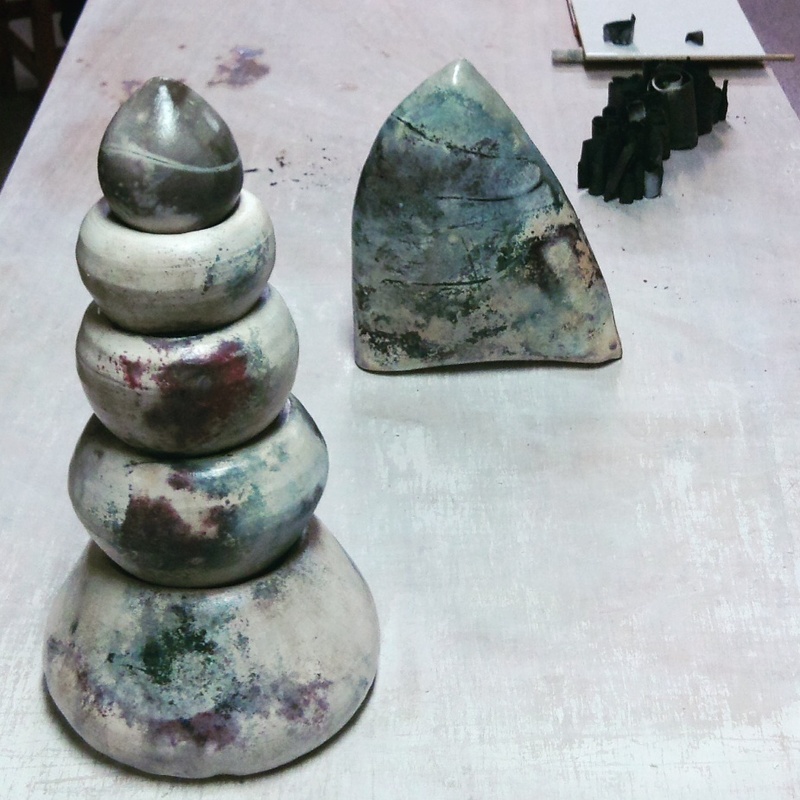 The Biennale opening was on Saturday, and the Sculturescape projects began on Sunday. The weather was very warm on Sunday, hitting the 30Cs during the day, which would normally be great – but when stoking an open fire for three hours… umm, not so good!! A much needed paddle to cool off! 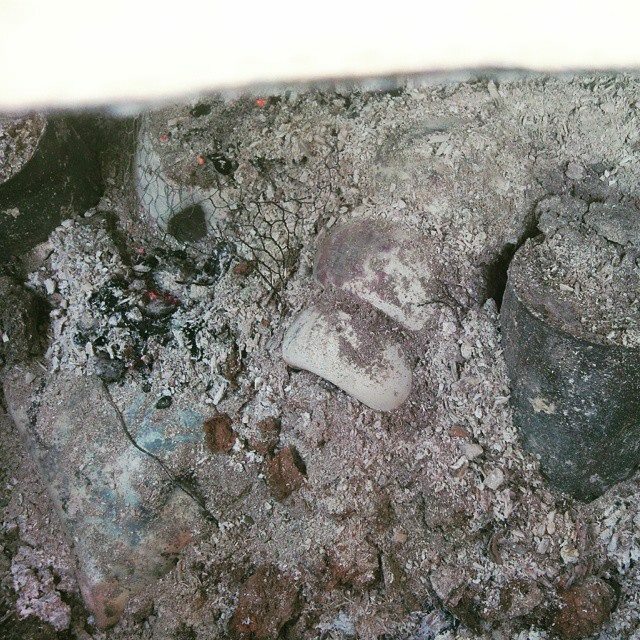 I (well actually my partner Strobe – because the film crew came along just at that moment for an interview) began digging the pit at about 10am Sunday morning, and I then lit a small fire in the hole to dry out the moist sand. 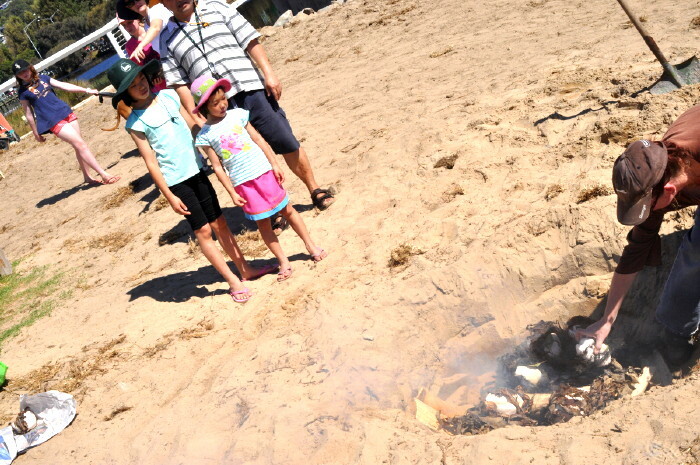 While this burned I prepared the sculptures using seaweed, copper wire, salted string and gumleaves. When the small fire had burnt out and the pit was dry I added another layer of wood, some pine cones and cow dung and placed the sculptures on top. 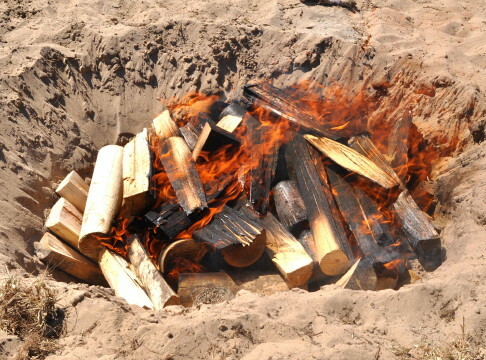 Salt, iron oxide, and copper sulphate were sprinkled over the ceramics, and a layer of seaweed was then added followed by another layer of wood. 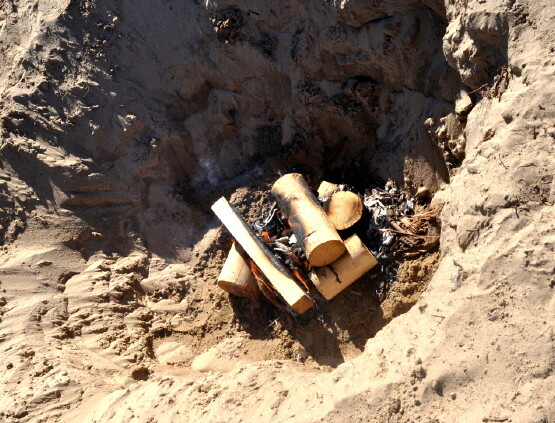 Some kindling and newspaper was the final layer, closely followed by a match, and the firing was underway! As mentioned, the pit was stoked for about three hours, and again, thanks to my partner Strobe for splitting the wood as I stoked. 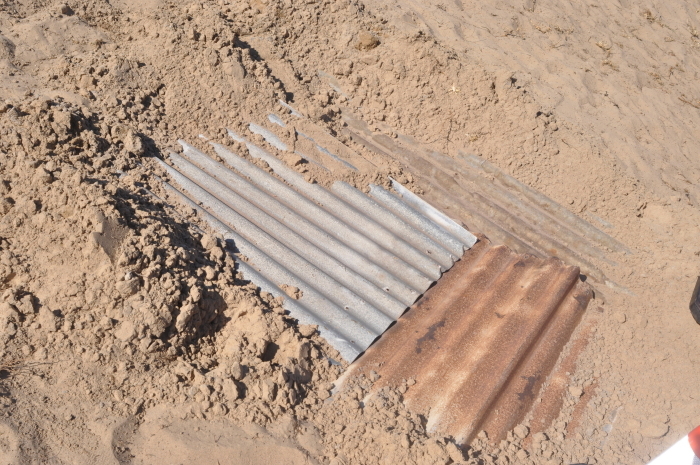 When a good layer of coals covered the works the pit was covered with corrugated iron and sealed with sand, allowing for a slow simmer and cool down overnight. 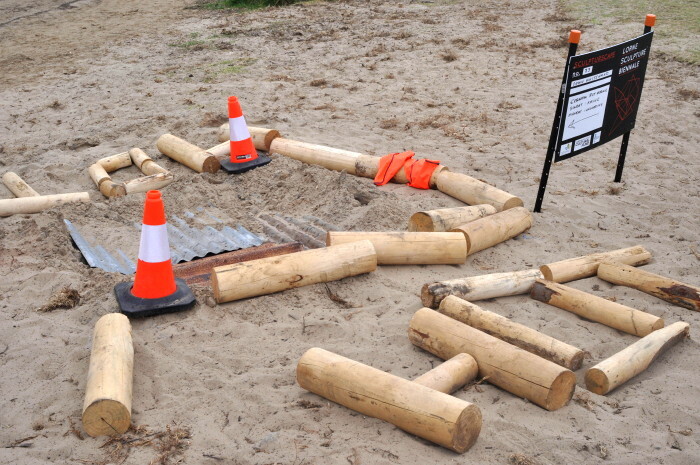 Witches hats and remaining wood was used to barricade the pit – I didn’t want anyone falling in overnight!! The following morning we arrived at the pit at 11am,and it was already cool enough to unload. 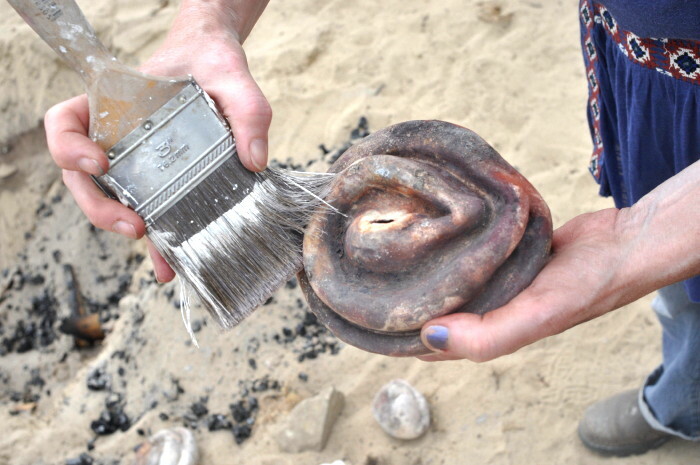 The works were removed from the pit, and gently cleaned with a soft paintbrush and polished with a neutral shoe polish to seal the surfaces and give a soft sheen in keeping with the organic nature of the sculptures. 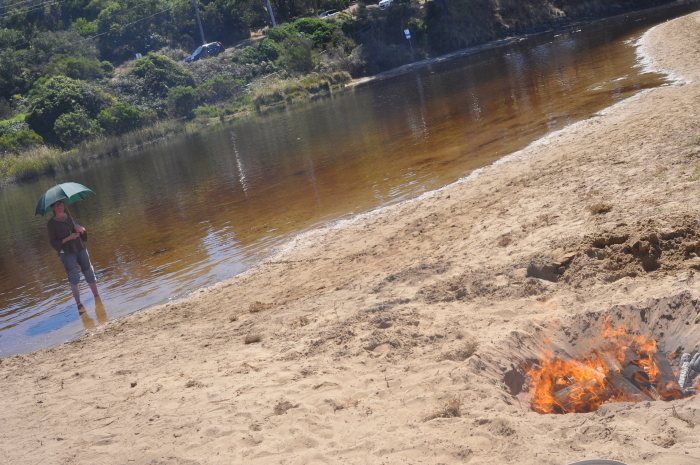 Though I have conducted many pit firings, I had never actually experienced one on the beach. This, combined with using a different wood than I usually use, made the firing a little unpredictable, but the results were great- and I sold some pieces on the day!! Many people stopped and looked and chatted over the course of the two days, which is the entire point of the Sculpturescape category – having artist making works on site and engaging the general public, and making art more tangible and accessible.